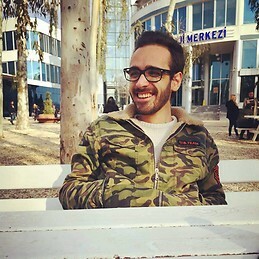 Hello, I am Eshabil Nanacak from Turkey. I am a 22-year-old male. I am looking for an Erasmus apart between 15th of June and 15th of September. I need a room that has access to a Wifi connection. I am very friendly I can live with boys and girls, it does not matter. My maximum limit is 280€ per month. If I can find a room that has a 250€ fee, that would be very good for me! I am also smoking, If I can have access to the balcony that would be very good too! Thank you very much.